There’s no going wrong with this beautiful purple and green wedding palette. 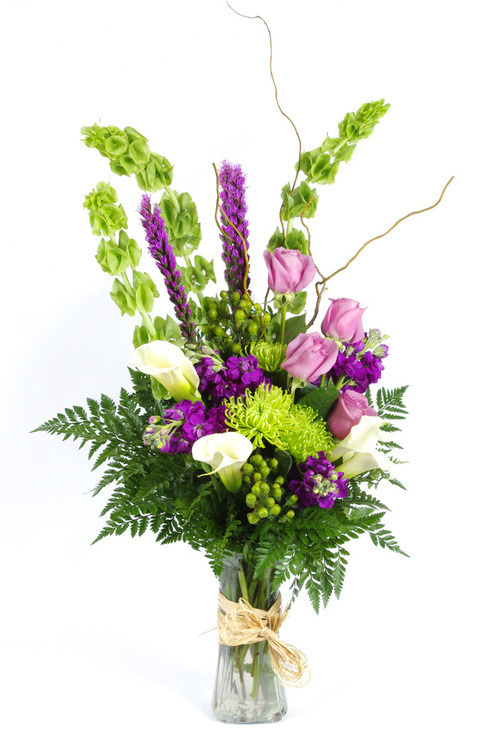 Regal and stunning purple combined with lush, green accents make for an eye-catching combination, don’t they? We see this wedding somewhere tropical, used by a couple who might want a more modern feel to their warm weather wedding. We love these DIY fern invitations (bottom left) for couples on a budget who still want personality in their invites. Flowers suspended in elegant glass bulbs (bottom right) are picture perfect and oh, so elegant. The wedding cake (top right), draped with purple orchids and other bright blooms, remind us of the tropics. Plum heels with feminine bows (center left) perfectly complement a white dress. 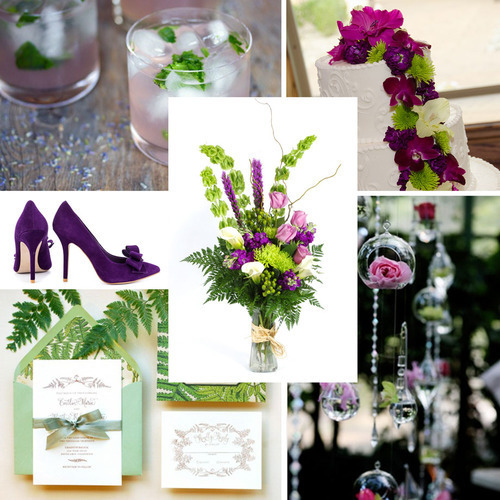 And how about some lavender mojitos (upper left) to round out the celebration? This inspiration board is based off a design by Florist Partner Artistic Creations in Englewood, CO called Artistic Fascination. 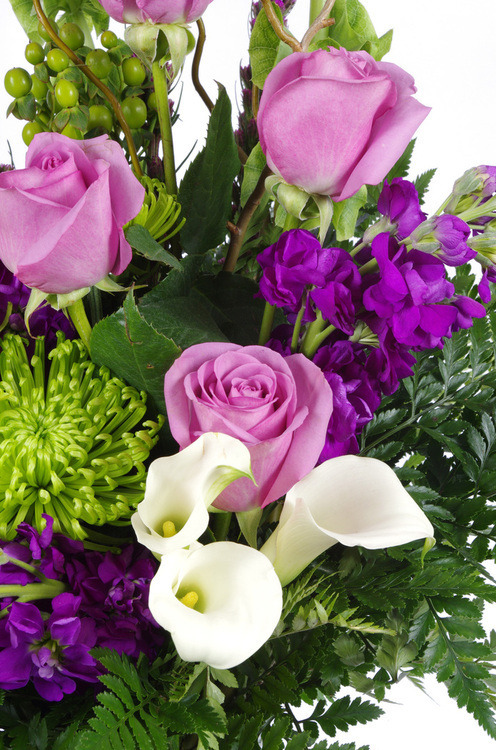 We love how the white calla lilies pop in contrast to an already bright purple and green palette. Vibrant shades of green, from the lighter spider mums to the darker accents, provide a lush look.